Russian Translation Pros is a professional Russian translation agency with multiple locations throughout the United States, including one of the largest city in Texas - Houston. We provide translations in the following language pairs: Russian into English, English into Russian, Ukrainian into English and English into Ukrainian. Our Russian translators produce consistently reliable and accurate translation while ensuring effective delivery of translated material. Our team of language experts has a long history of successful relationships with Houston-based international organizations, government and corporate clients. We have skilled translation force specializing in technical, medical, legal fields especially needed for Houston being one of the global leaders in energy industry (natural gas and oil), education and health care, natural resources, mining, construction, manufacturing and business areas. We also make a certified and notarized Russian and Ukrainian translation of personal documents for submission to US Courts, USCIS, NVC, and the Consulate-General of the Russian Federation in Houston, TX (located at: 1333 West Loop S #1300, Houston, TX 77027). Our Russian translation agency accepts every type of personal and legal document for certification in Houston. We do certified translation from Russian, Ukrainian, English languages. One can call a certified translation, also known as sworn, official or legalized translation, when a translator working on the document certifies (attests) that s/he is responsible for an accuracy of the translated documentation. Certified paper is a word-by-word translation of the original text with the Affidavit of Accuracy. Due to the fact that Houston is a big metropolitan center with a large Russian and Ukrainian population, Russian and Ukrainian governments are represented by their consulates. Our certified Russian translations are accepted by the Russian Consulate and USCIS (United States Citizenship and Immigration Services) in Houston. We even have translation templates of American vital records documents which were approved by the Russian consulate workers - so you can rest assured that your documents are accepted by this institution. We can also assist you with a translation of legal papers such as contracts, agreements, trusts, immigration and litigation documents or any other legal texts which require a professional translation within the law field. One of our main specializations in Russian translation is a technical translation. Russian English translators working for us have a strong background in various technical areas such as oil and gas technologies, petroleum engineering, automotive, environmental protection, mining and mineral engineering, biotechnology, electrical engineering, manufacturing. We provide Russian to English and English to Russian translation of technical texts pertaining to mining and metallurgy (all aspects of designing, construction and operation of open pit/underground projects). Technical materials can be submitted to us in different file formats, for example, AutoCad drawings. We can accommodate your special formatting requirements, and we will make translations which involve extensive terminology research. We worked on the translation of scientific materials describing processes in the gas, oil industry for international projects including exploration, drilling, pipeline construction, gas processing, oil refining, description of the oil and gas equipment, transportation and storage, flow metering. We also have experience translating documents such as technical proposals, specifications, tender documents, international standards, insurance policies, operation and maintenance manuals, equipment manuals, environmental impact assessment, Russian to English translation of state expert reviews, purchase orders. Our translators successfully translated technical documents on a wide scope of subjects - translation of specifications and manuals for various kinds of ore processing equipment (crushers, mills, screens, gravity concentrators, flotation cells, leach reactors, coal columns, press-filters, belt conveyors, thickeners, pumps, electrical and automation gears applicable in ore processing plants, etc). Russian Translation Pros is proud to say that we always display continuous commitment to excellence in the customer service. Russian Translation Pros is a competent provider of Russian English interpretation in Texas. Interpretation is all about experience. That is why we work with Russian professional and accredited interpreters who have many years of practical and hands-on experience in interpreting in both simultaneous and consecutive settings. 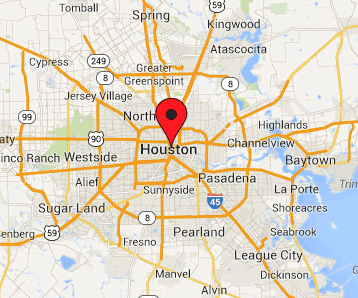 Houston has a big variety of great Russian language specialists. Some of our Russian interpreters are certified members of American Translators Association while holding multiple certifications including NASA space-to-ground interpreter certificates. Educational level of interpreters was appreciated by reputable Houston companies such as ConocoPhillips, NASA, Royal Dutch Shell, USAID, FMC Technologies, Fluor Corporation, and others. Since 2001 certified interpreters worked at NASA's Johnson Space Centre in Houston, TX, providing simultaneous interpretation for space-to-ground communications, readiness reviews and multilateral meetings, and consecutive interpreting for a different types of conference formats. If you need a Houston Russian interpreter who would be familiar with diplomatic and international protocols - we will be happy to assist you with this. We have professionals who interpreted during plenary sessions and conference proceedings at many congresses, conferences and international meetings. It is important for an interpreter to handle work stress well and maintain professionalism at all times. Our rates depend on the topic and duration of the assignment, as well as interpretation type (simultaneous or consecutive). Russian Translation Pros is a very competitively-priced company.